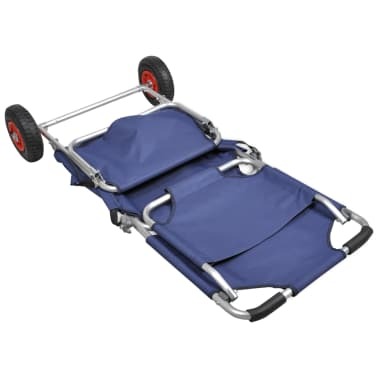 This beach trolley provides you easy and convenient way to carry and organize your articles such as fishing tools, beach gear, picnic materials, etc. 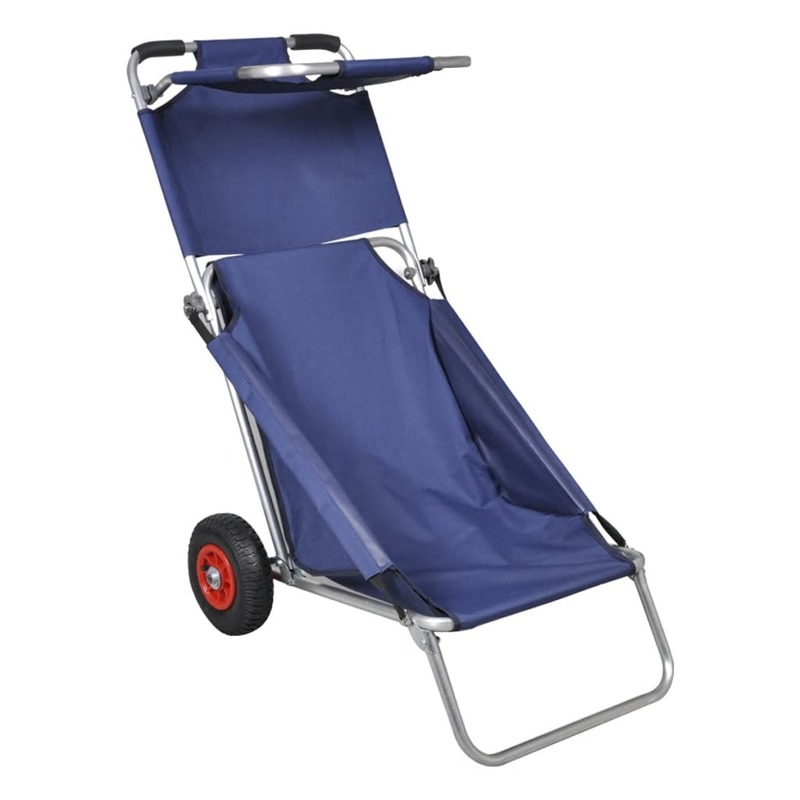 It can also be used as a beach chair to lie or sit on securely and comfortably. 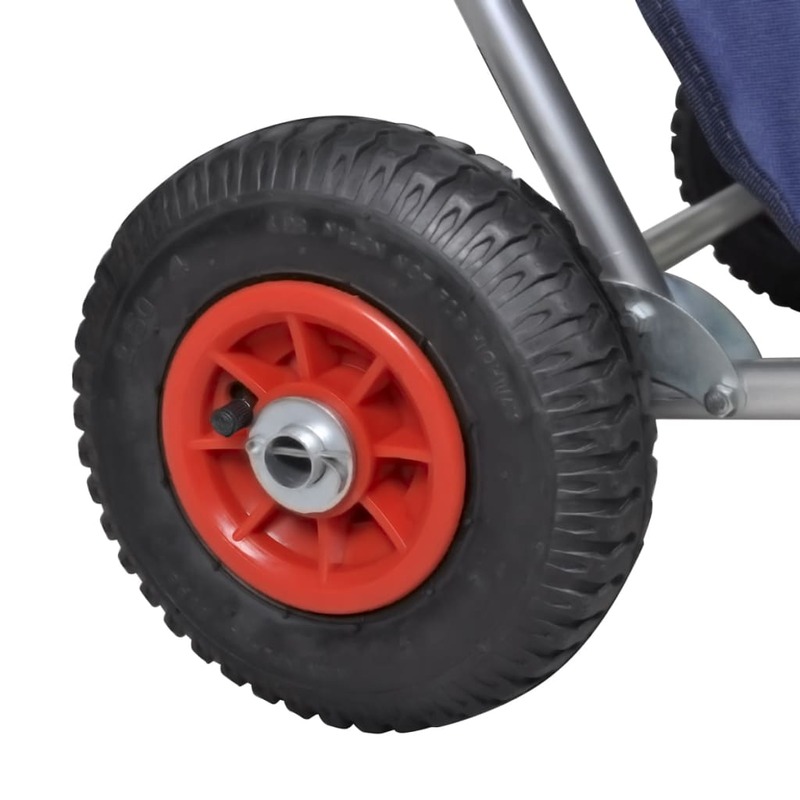 The aluminum tube is light yet very stable. 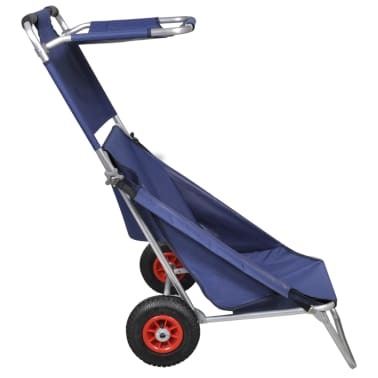 Our beach cart features a max. 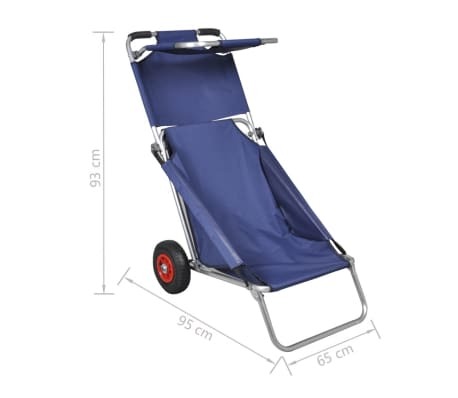 load bearing of 80 kg. 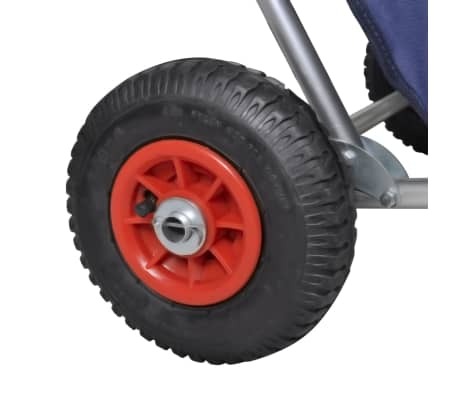 Made of high quality rubber, the wheel is wearable to a variety of terrain - beaches, shallow water, mountains, grasslands, etc. 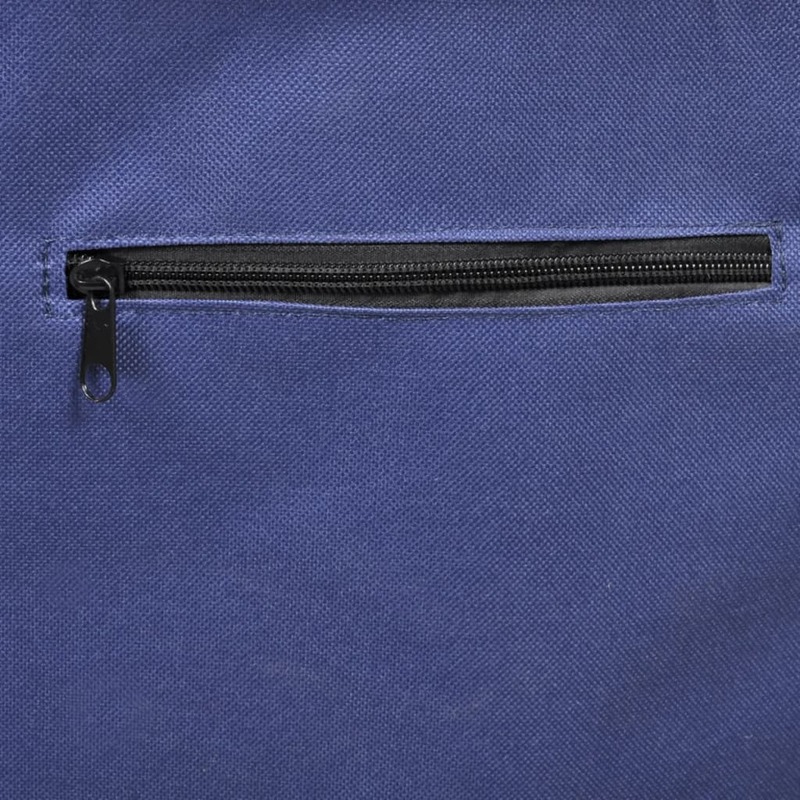 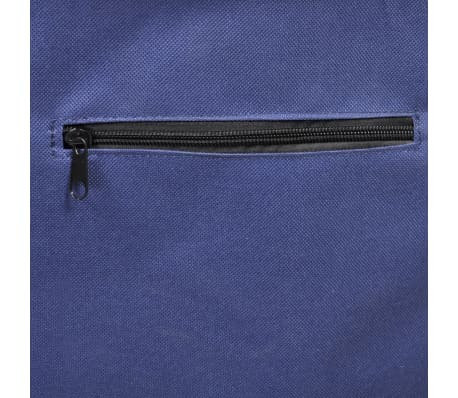 There's a handy pouch on the back for storing your smaller items such as keys, wallet, phone etc. 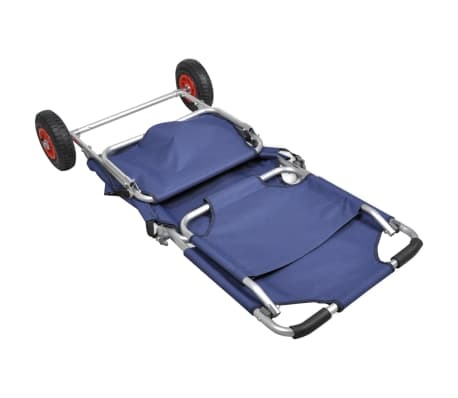 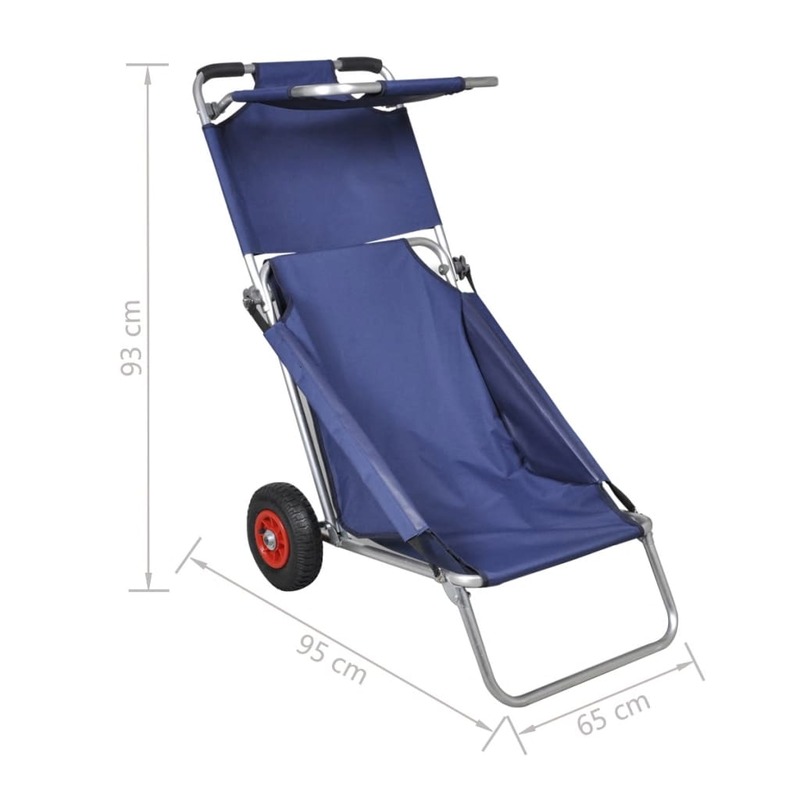 Not only functional and sturdy, this beach trolley is also foldable and portable. 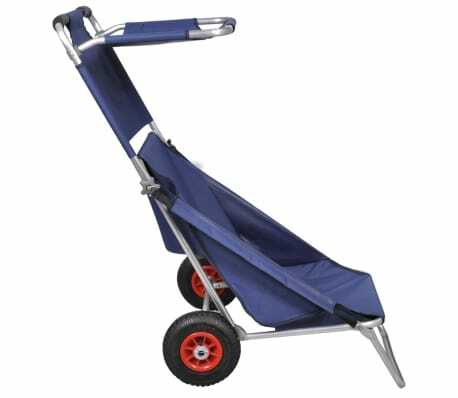 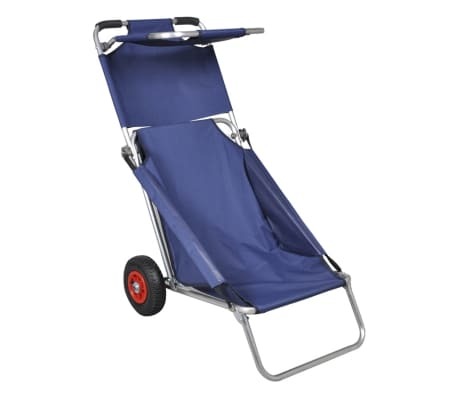 Just fold the beach cart flat for easy storage and unfold it when in need.